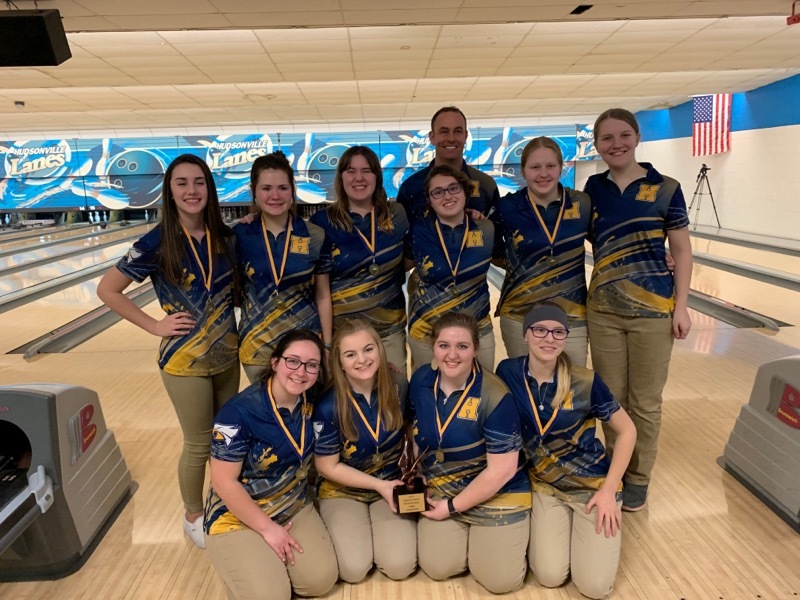 The girls bowling team qualified 1st overall and outlasted Rockford in the televised finals to win the Hudsonville Invitational on Saturday. The Eagles have bowled great in all of their Saturday tournaments taking 1st place in each one they have entered. In the semi-finals, the Eagles defeated Byron Center to move on to a rematch with Rockford. 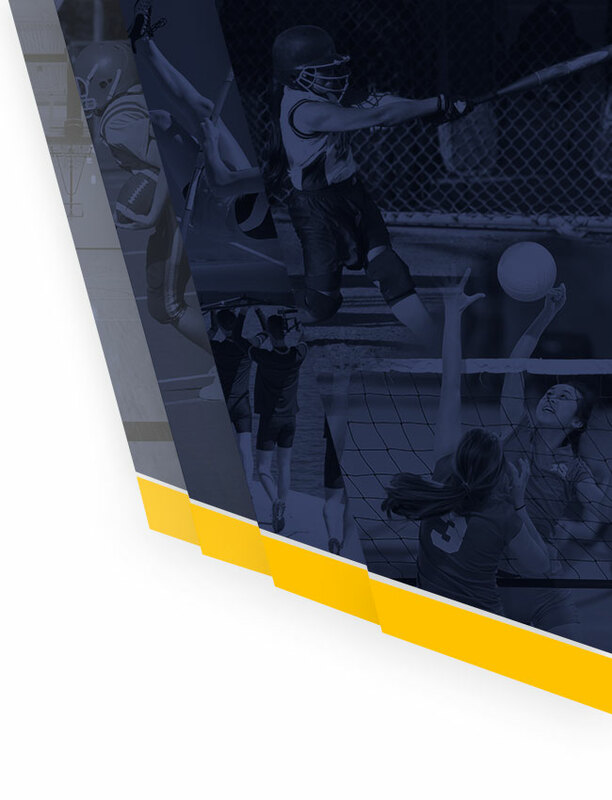 On the season, the Eagles had lost to Rockford at pre-conference and both home and away matches. This made the girls hungry for the win as they jumped out to an early lead in the televised finals rolling strikes in the first four frames. The girls didn’t let the pressure of the cameras on the lanes, announcers right behind the approach, and bright lights shining on them have any effect on their game. 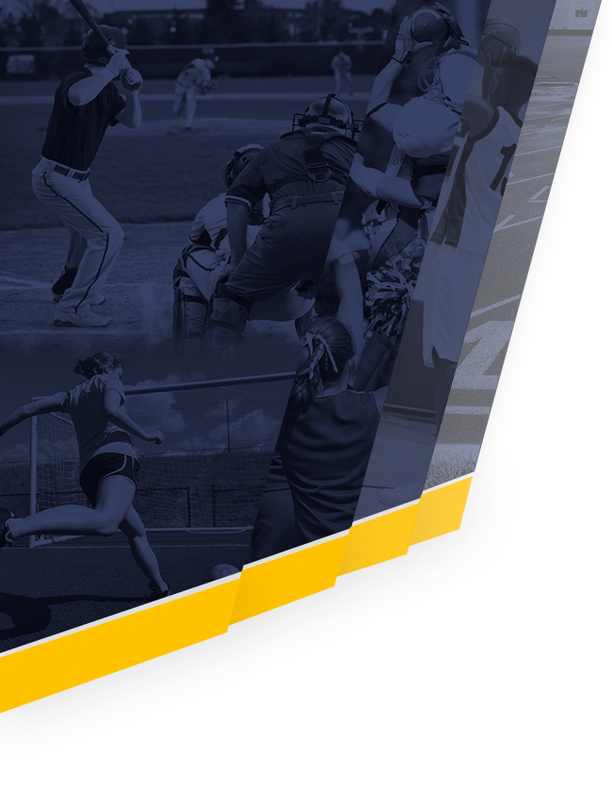 Leading the way for the Eagles was leadoff bowler Makenna Hendrickson, followed by Sam Thomure, Madison Lyons, Paetyn Bentley, and anchor Addie Gilliam. Congrats to Paetyn and Makenna on being named to the All-Tournament team as well!